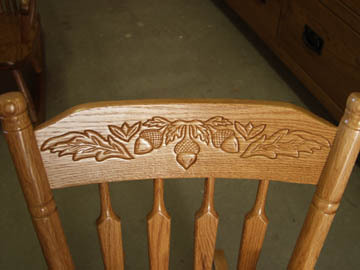 Here is a close-up of the acorn carving the Amish put into the back of our oak children’s rocker. You can see the quality of the workmanship. Use the Back button on your browser to return to the rocking chair.